WBPSC Recruitment 2018 - West Bengal Public Service Commission has invites Application Recruitment offer for WBPSC Fire Operator Recruitment Online Form 2018 - 1452 Post Vacancies - Last Date - 03-07-2018 and WBPSE WBFS & WBSFS Exam 2018 - 182 Vacancies - Last Date 02-07-2018. WBPSC organization announce this vacancy. Interested or eligible candidate can apply to this recruitment. If you want to apply this vacancy then before 3 July 2018. 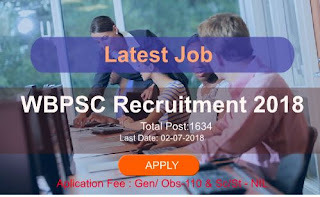 We are Provide here WBPSC recruitment Details; WBPSC bharti Notification download link, WBPSC fireman recruitment Online apply link and other details age limit, pay scale, fees details, how to apply, etc. (West Bengal Forest Service) Bachelor Degree or its equivalent in science or Engineering with the least one of following Subject ( Agriculture, Botany, Chemistry, Computer Science Application or Computer Science, Engineering etc. 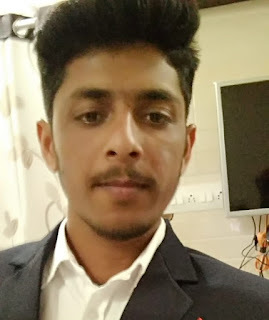 Bachelor Degree in science or Engineering with the least one of following Subject ( Agriculture, Botany, Chemistry, Computer Science Application or Computer Science, Engineering etc. First you need to go on official website www.pscwb.org.in (given important link section).